If you’re a busy mom, these freezer dinner recipes are perfect for you, they are delicious, and you can keep them up to 4 months! You can be that mom who’s stockpiled meals in her freezer. You can! It’s easier than you think. Prepping freezer meals starts with buying enough ingredients to make at least two family meals at once. You can double recipes whenever you cook (especially when cooking casseroles)—one for now and one for later to go into the freezer. You can also spend a whole day cooking and preparing a stock of meals, but really, who has time for that? Use non-porous containers like glass dishes, freezer bags, and those foil pans you can get 3 for a dollar at Dollar Tree to store your meals. 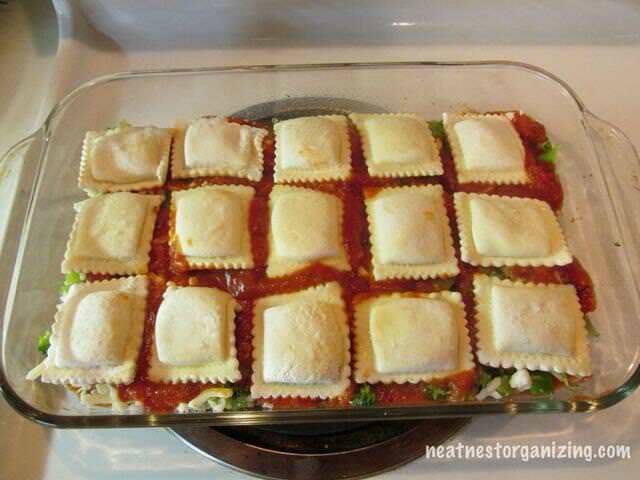 Layer frozen ravioli, shredded mozzarella, pasta sauce, and anything else you want to make this easy lasagna-like dish perfect for busy weeknights! Create a southwestern marinade for chicken, chop up some onions and bell peppers, and package ingredients individually for a fajita kit. 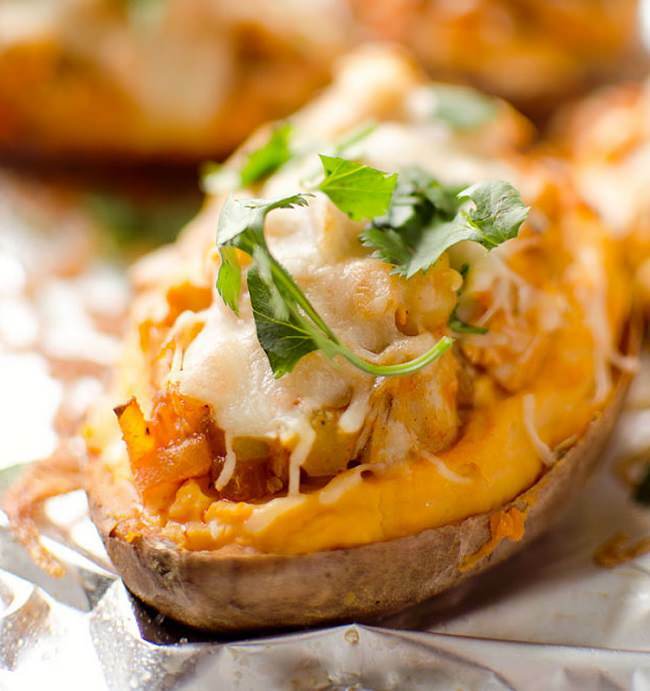 Whipped sweet potatoes, blue cheese, chicken, veggies? That sounds awesome! 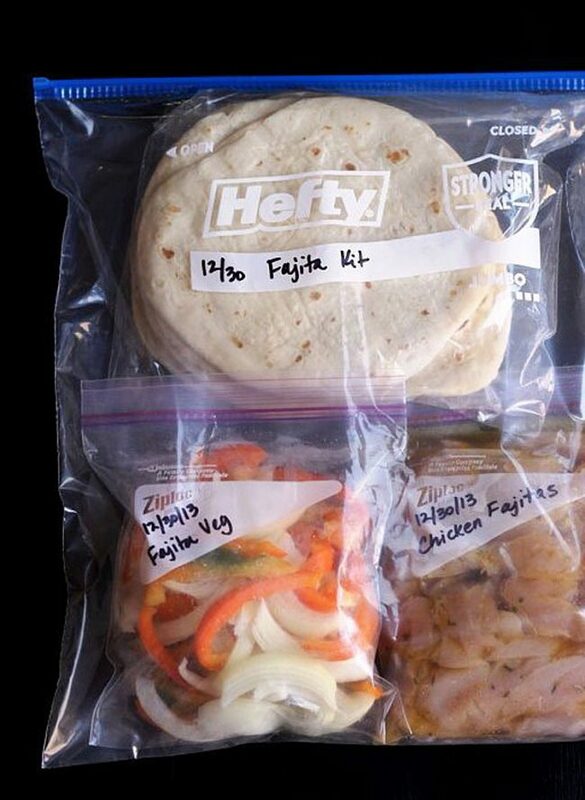 Just slip individual portions in Ziploc bags and freeze. Heat one up for lunch or a weeknight dinner. Visit The Krazy Coupon Lady to read the full post.